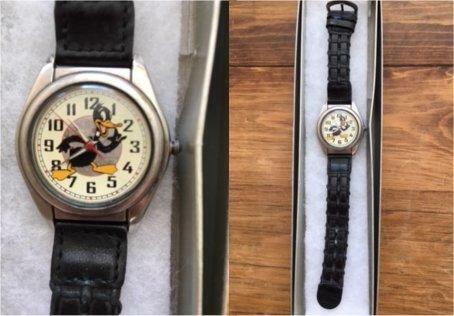 Daffy Duck watch, serviced and working. Warner Bros. - made in Japan. Watch has a black leather watchband.